For “place of birth” in the hundreds of forms I’ve filled out since grade school, I’ve always written “Newell, California,” but I’ve never known much about the place and don’t recall anything about it. I grew up on Oahu and have lived here as far back as I can remember. As I grew older, I learned that I was actually born in the Tule Lake War Relocation Center for Japanese-Americans during World War II. Newell, apparently, was the closest town. Until I saw the black and white picture below, I had no idea what the town looked like or whether it still exists. Newell, California. 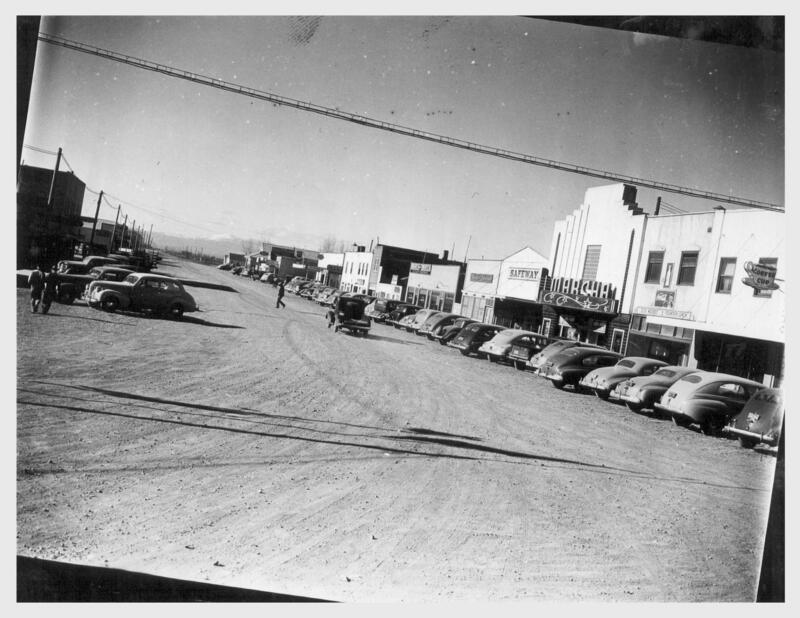 4/23/42, Tulelake, view of a main street of this town which is located near the site selected for the construction of a War Relocation Authority center for the housing of evacuees of Japanese ancestry for the duration. Source. The photo below is a panoramic view of the center. It was, to put it mildly, out in nowhere. And it was huge. 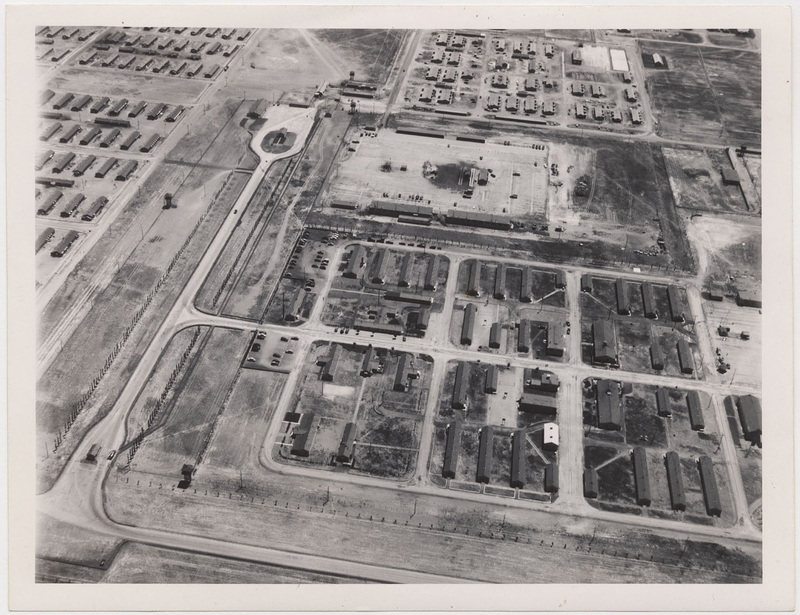 Tule Lake Center, 6 July 1945. Panoramic view from the Butte west of the Center. Military Police stable area in foreground. Military Police area (center); WRA Area (right center); evacuee area (background). Note highway and railroad. Source. Here’s a color photo of the center during the war. From the following photo, I got a rough idea of the hospital where I was born. In the following two photos, we see members of the center’s hospital staff. I wonder if one or two were on the team that helped to bring me into this world in late 1944 when the Battle of the Bulge was raging on the Western Front in Europe. Stork Visits Relocation Center — The stork has paid frequent visits to the Tule Lake, California, Japanese relocation center since it was opened a year ago. 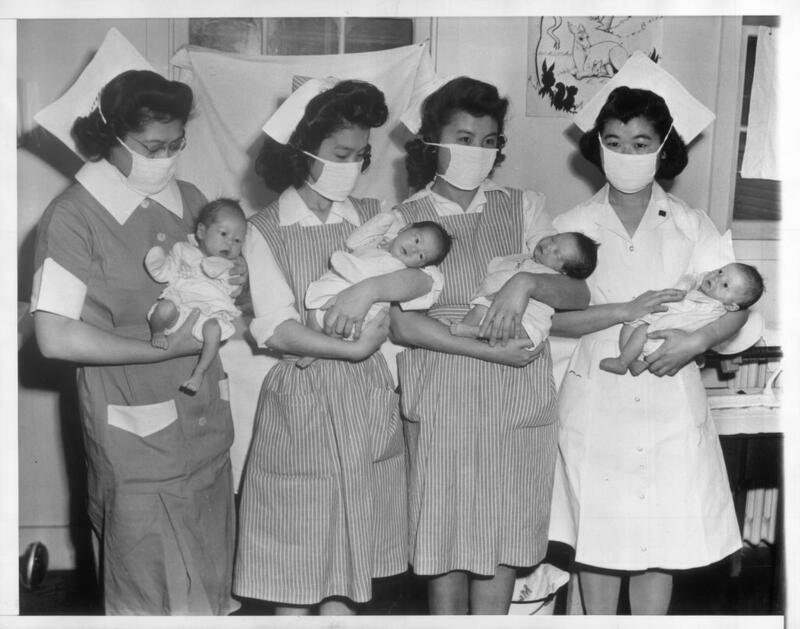 Here are four new arrivals held by nurses (L-R) Mary Nitta, Loomis, California; Ruby Fujioki, Seattle, Wash.; Masako Nakadoi, Loomis, California, Katsumi Ogawa, Loomis, California, JARDA-6-11, 1943-05-21. Source. Hospital staff[?] in front of wall at Tule Lake Relocation Center. 1941/1945. Source. The following three photos are aerial views of the center. The third is especially interesting — a night view. Tule Lake Center, 6 July 1945. Aerial view showing Military Police Area, left foreground, and WRA Adminstration Area in center and right background. Part of the evacuee area is shown beyond the fire break. Source. 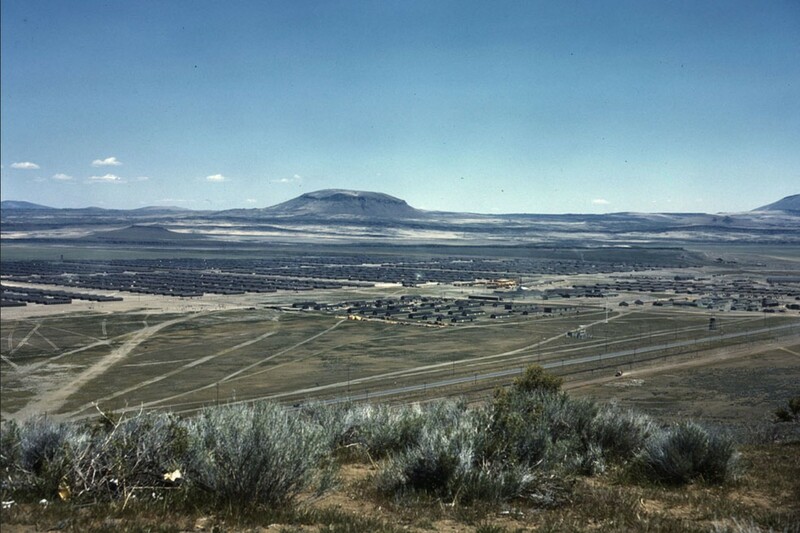 Aerial view of Tule Lake Relocation Center. 1941/1945. Source. Aerial view of Tule Lake Relocation Center at night. 1941/1945. Source. When my parents were alive, my mother often mentioned the camp store, and until I saw the three photos below, I couldn’t imagine what it looked like. They said the food served in the cafeteria was often unappetizing. According to my mother, when lamb stew or baloney was on the menu, people often didn’t go to the mess hall to pick up their servings. At times like this, a real treat was the packets of Lipton’s chicken noodle soup, bought at the store. She mixed it in hot water and added egg noodles to create a meal. A view of general store No. 1 at the relocation center. — Newell, California. 7/1/42. Source. 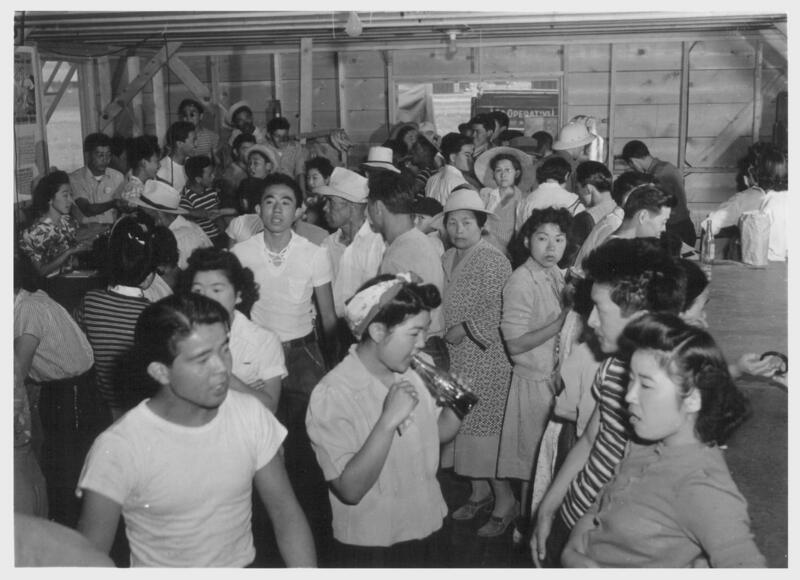 Tule Lake–Newell, Calif.–A view showing part of the crowd at general store no. 1 at this War Relocation Authority center where evacuees of Japanese descent are spending the duration. — Photographer: Stewart, Francis — Newell, California. 7/1/42. Source. Tule Lake, Newell, Calif.–Lillian Hiraike, 18, evacuee from Seattle, Washington, shows a sweater to a prospective buyer in the general store at this War Relocation Authority center for evacuees of Japanese ancestry. — Photographer: Stewart, Francis — Newell, California. 7-1-42. Source. The following is a photo of one of the mess halls. 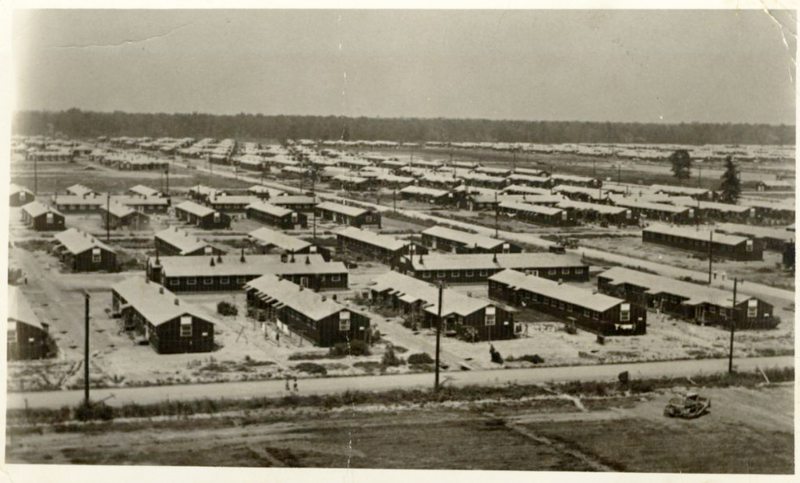 The center was divided into blocks, and each had its own mess hall. 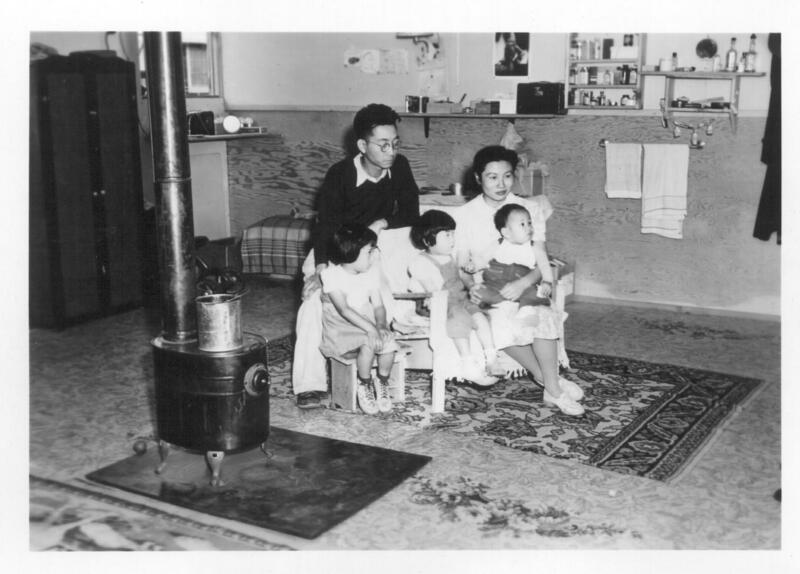 In Tule Lake and Jerome, my father was a mess hall “boiler man,” which meant chopping wood for the stoves. For a half day’s work, he was paid $6 a month. It wasn’t bad, he said, because medical doctors were paid only $9 a month. They could actually save money because they had no expenses and there were few opportunities to spend it. 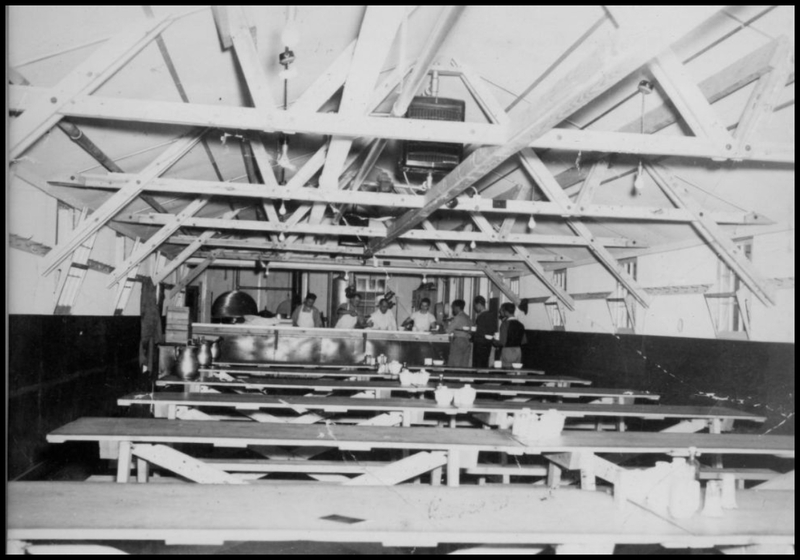 Inside view of mess hall at Tule Lake Relocation Center. 1943. Source. The photo below is of a typical family living unit. Stark, and barely livable. This would have been my first home. BTW, the family is not watching TV. Although the technology was known, commercial TV as we know it today didn’t begin until 1948, and it didn’t become widespread until the 1950s. An evacuee family spends a quiet evening in their barracks. The decoration of this apartment is quite typical and shows the home made furniture, shelves, bookcases and other furniture. — Photographer: Stewart, Francis — Newell, California. 9/10/42. Source. The father of my good friend, who was also born at Tule Lake, was a judoka, so I was drawn to the photo below. I wonder if his father is in this photo. Tule Lake Relocation Center Judo Club.1945. Source. 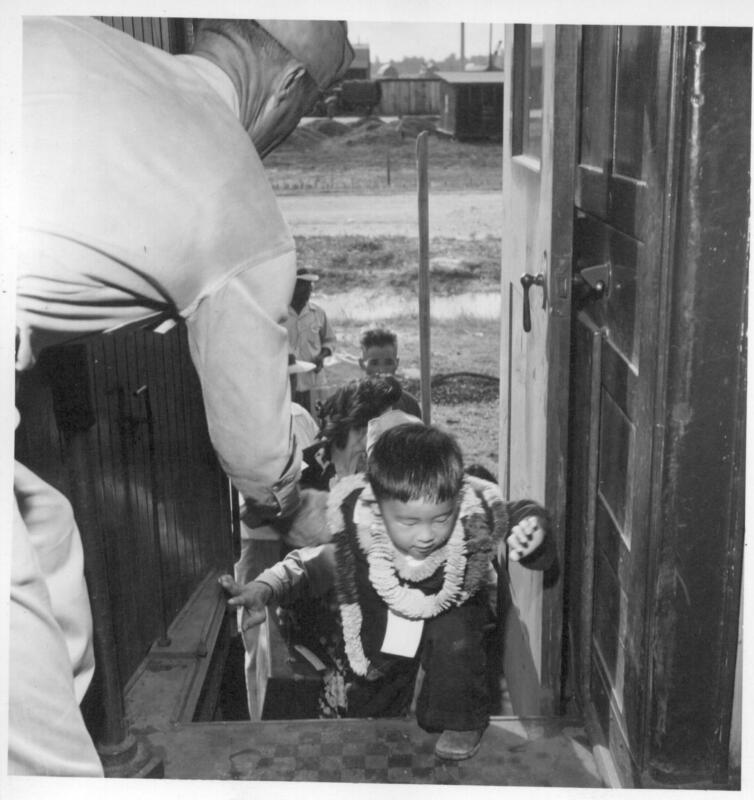 My parents and older sister were first sent from Hawaii to the Jerome, Arkansas, relocation center. They were later sent to Tule Lake. All major movements were by train. In the following photo, we see a train stopping for a stretch break. 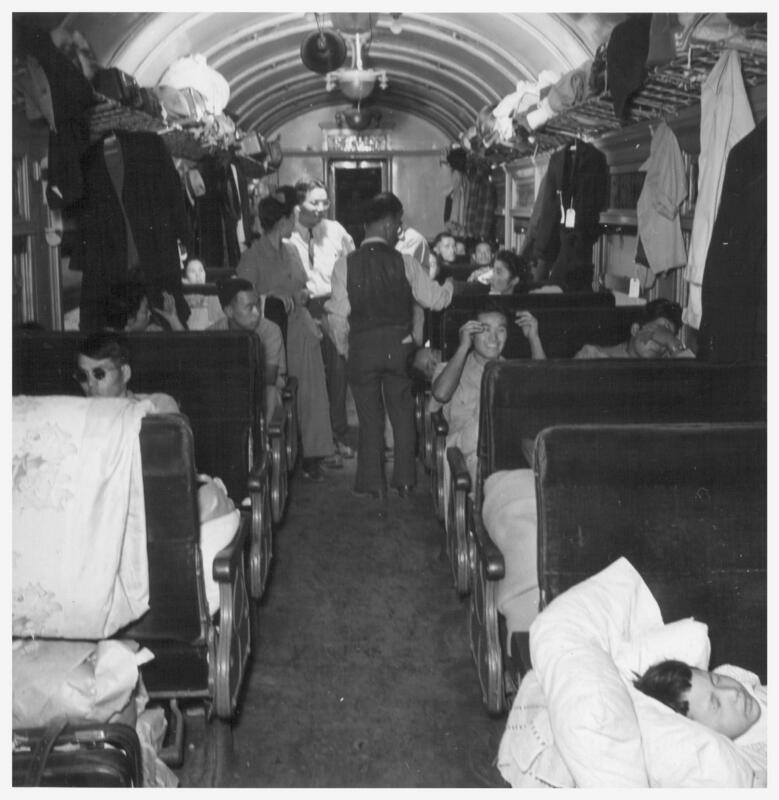 Exercise periods were arranged at remote sidings on all trips to and from Tule Lake to allow passengers a chance to stretch their legs. Here, passengers are shown leaving the coaches as the train paused near the bank of the Columbia River. The pullman porters are seen helping people to alight. Photo by Mace, Charles E., 10/1/43. Source. What was it like inside the train? Here’s an interior view of a train from Topaz to Tule Lake. A scene in one of the twenty coaches on trip 15, Topaz to Tule Lake. The train monitor is seen conferring with a car captain and some of the passengers regarding the comfort of the latter. Photographer: Mace, Charles E. , 9/24/43. Source. 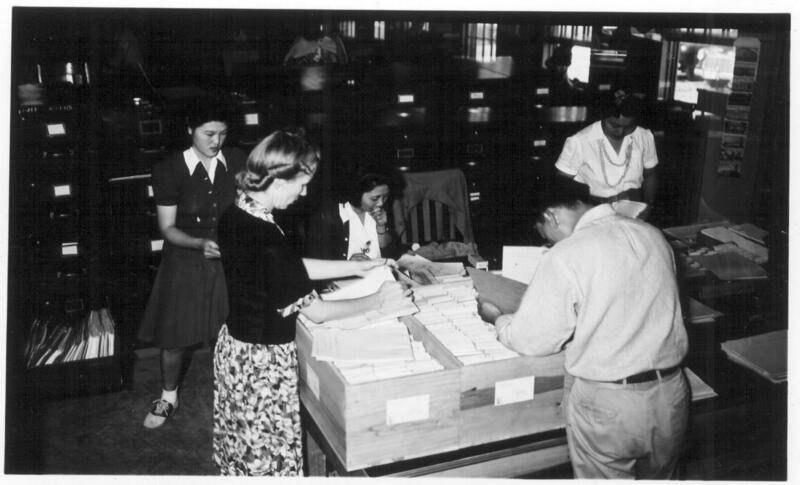 The Jerome center staff below prepared the transfer papers for those going to Tule Lake. I wonder if my family’s papers are in the batch they’re processing. 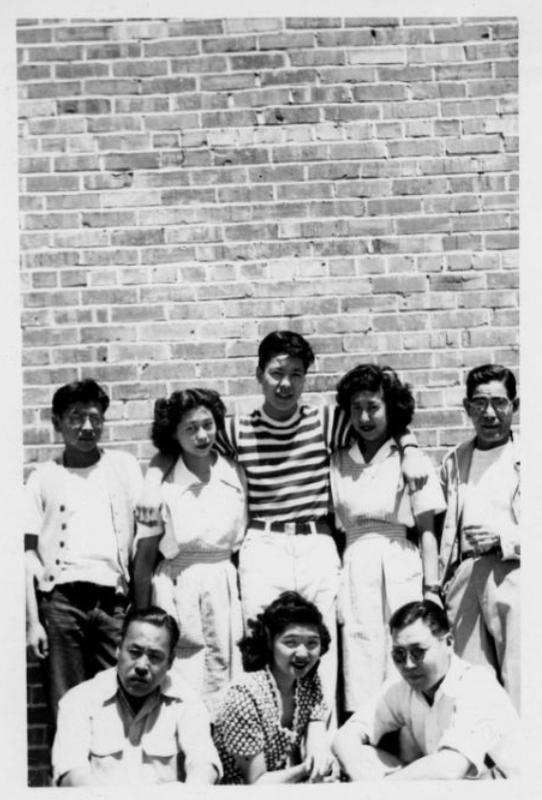 Left to right are Masako Mikami, Miss Gladys Townsend, Chiyoka Kawanami, George Nakaji, Aiko Nishikata of the Jerome Office Services Section assembling the files for persons being transferred to Tule Lake. — Photographer: Lynn, Charles R. — Dermott, Arkansas. 9/19/43. Source. 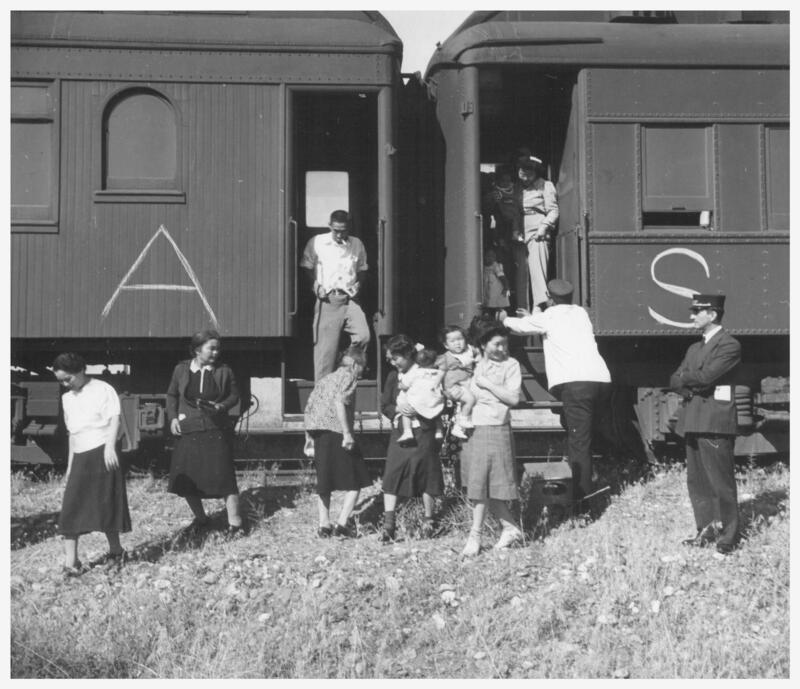 Trucks moved the “segregees” from their living quarters to the trains that would take them to Tule Lake and other centers. Friends came to see them off. My parents and sister must have been either on the train or in the crowd at the station in one or more of these photos. 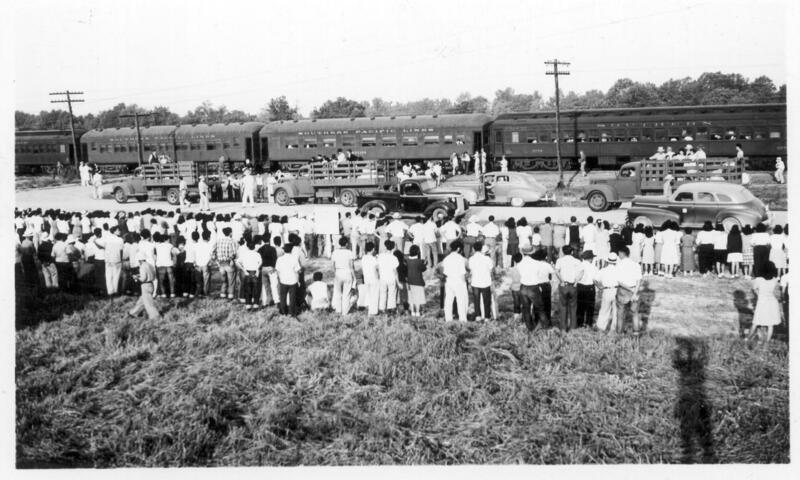 Four trucks (three can be seen in this picture) were used to transport segregees from their blocks to each car on the first segregation train (trip 4) to leave this center for Tule Lake. Large crowd of center residents (foreground) came to watch the train off but stayed inside the boundary fence on this side of the road. With the segregees came their hand luggage. — Photographer: Lynn, Charles R. — Dermott, Arkansas. 9/15/43. Source. Jerome was apparently home for many Japanese Americans relocated from Hawaii. My parents must have known some or most of the Hawaiians in the next five photos. 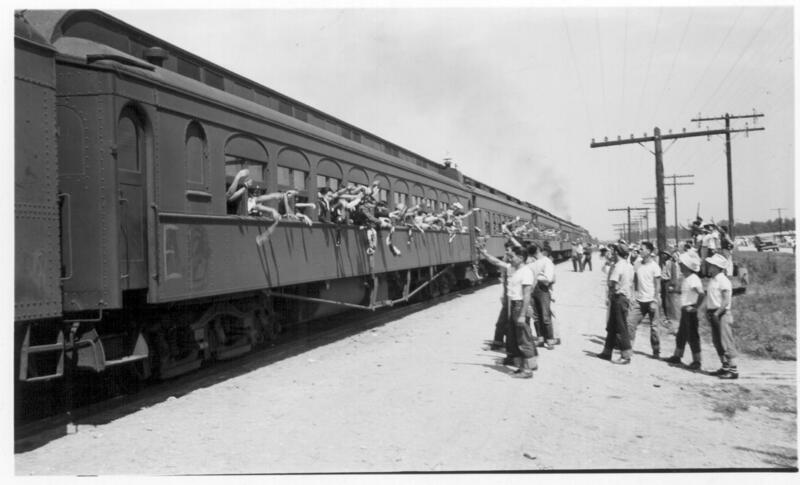 A carful of Hawaiian evacuees waving farewell as their segregation train left Jerome for the Tule Lake Center. — Photographer: Lynn, Charles R. — Dermott, Arkansas. 9/19/43. Source. 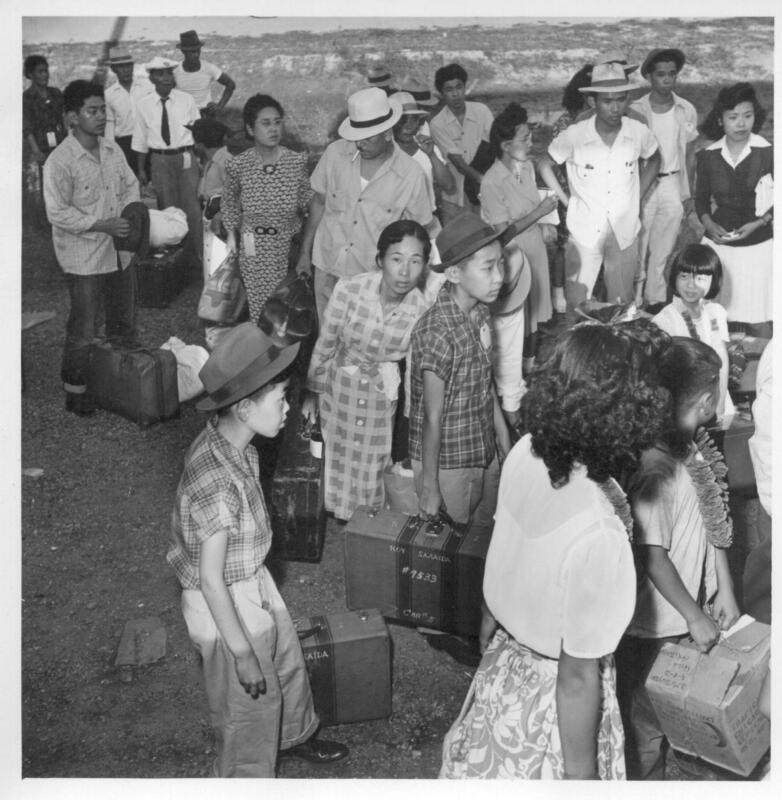 A group of Hawaiian evacuees waiting for the segregation train to start. — Photographer: Lynn, Charles R. — Dermott, Arkansas. 9/19/43. Source. Closing of the Jerome Center, Denson, Arkansas. Jerome residents with their hand luggage wait at the [illegible] car entrance for their names to be called by the W.R.A. official checking the list. — Photographer: Iwasaki, Hikaru — Denson, Arkansas. 6/18/44. Source. Closing of the Jerome Center, Denson, Arkansas. Travel is just another adventure to the children of the relocation centers. Here a little tot eagerly mounts the steps of the chair car assisted by a member of the military police. — Photographer: Iwasaki, Hikaru — Denson, Arkansas. 6/15/44. Source. 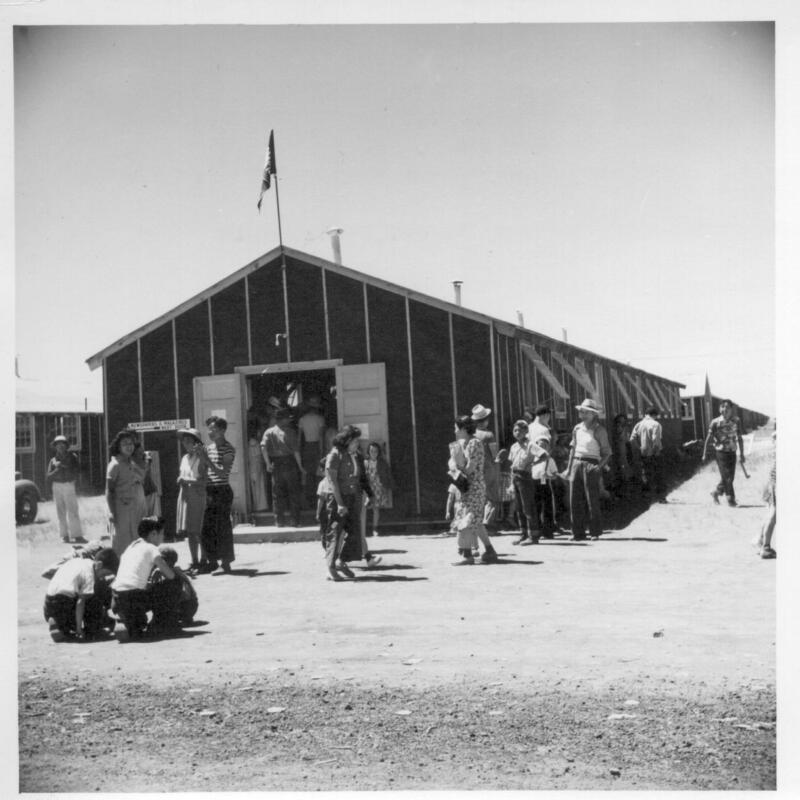 Hawaiians at Tule Lake were also moved to other centers. 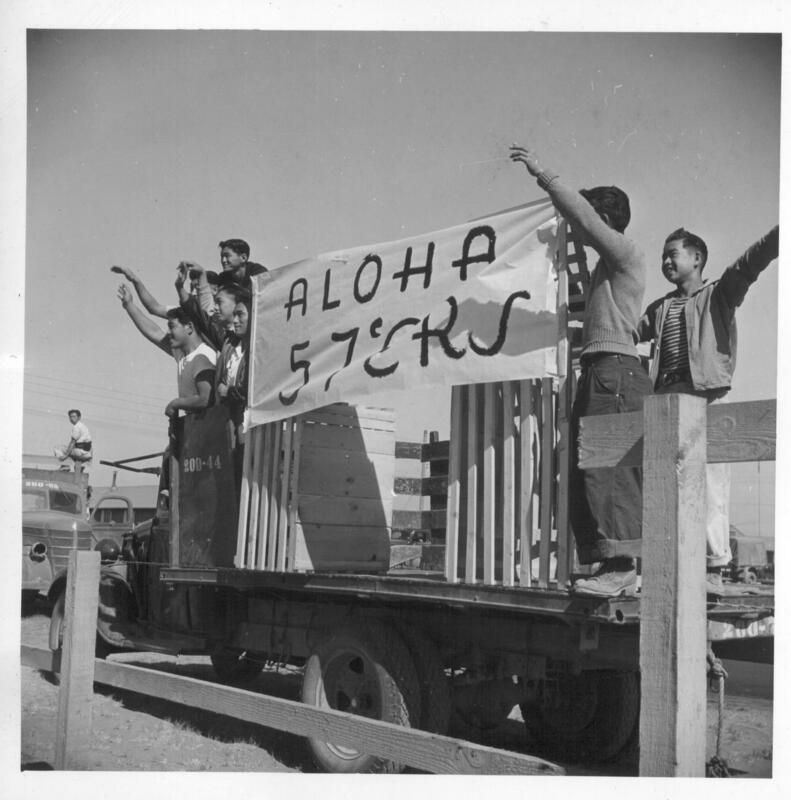 Residents of block 57, at the Tule Lake Center, wave farewell to friends entraining for other centers. — Photographer: Mace, Charles E. — Newell, California. 9/?/43. Source. 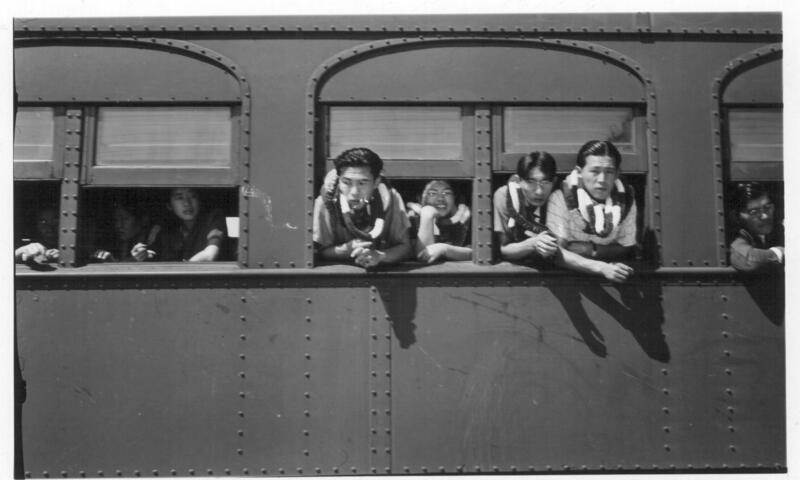 JARDA: Japanese American Relocation Digital Archives. 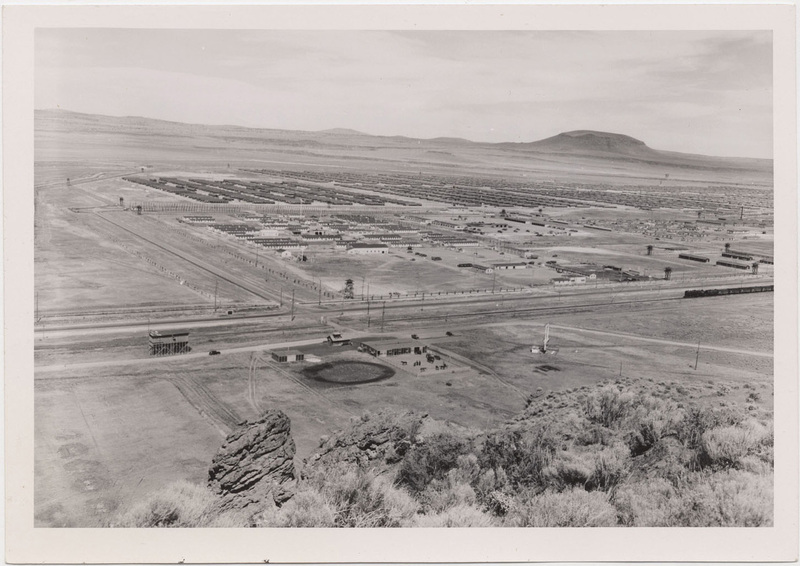 Calisphere, University of California: Tule Lake and Jerome. Inventory of the Japanese American Relocation photograph collection, 1930-1958 (bulk 1941-1946). Online Archive of California. 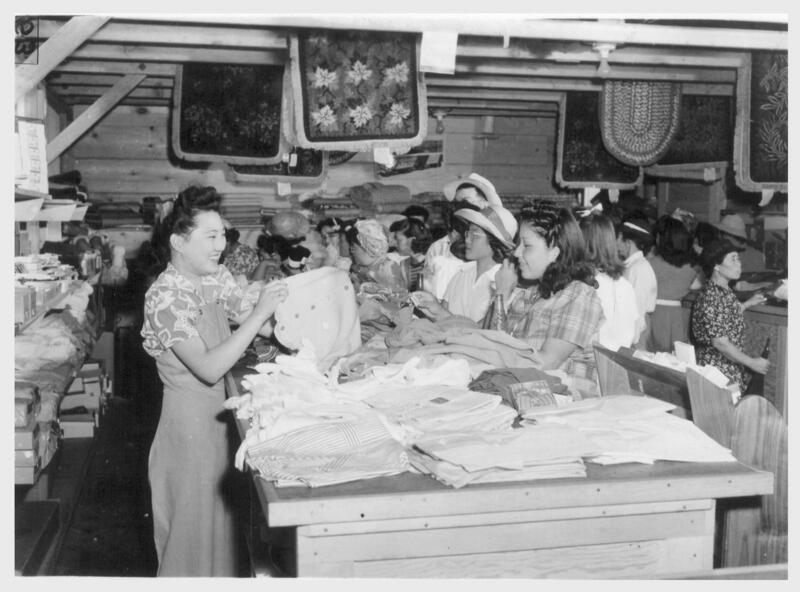 University of Southern California: Regional History Collection. For general background as well as specific information on relocation centers, see the following. Chapter 13 is devoted to Tule Lake. Update 4/27/14: The following video was uploaded to YouTube by Thomas Potter on 9/7/08. The following video was uploaded to YouTube by lifeorliberty on 8/7/12. This entry was posted in Culture, History, Images, Video. Bookmark the permalink.